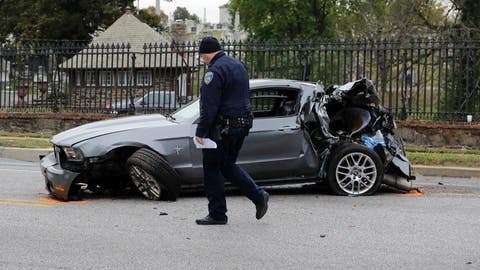 A jump in traffic fatalities last year pushed deaths on U.S. roads to their highest level in nearly a decade, erasing improvements made during the Great Recession and economic recovery, a leading safety organization said Wednesday. Fatalities rose six percent in 2016, reaching an estimated 40,200 deaths compared to 37,757 deaths the previous year, according the National Safety Council. The group gets its data from states. The last time there were more than 40,000 fatalities in a single year was in 2007, just before the economy tanked. There were 41,000 deaths that year. The increase came as Americans drove more last year — a three percent increase in total miles. The council cited continued lower gasoline prices and an improving economy as key factors. “Additionally, driver distraction and our society’s addiction to electronic devices is likely playing a role in the increase in deaths,” Adkins said. As the economy recovered, people not only began driving more, but they also increased more risky types of driving “like going out on the weekends or taking long trips on unfamiliar roads,” said Adrian Lund, president of the Insurance Institute for Highway Safety. Last month, NHTSA reported that traffic deaths surged about eight percent in the first nine months of 2016.